ALTHOUGH new to the current south-east Queensland sporting landscape, the Brisbane Bullets have a rich basketball history. From humble beginnings in 1979, the Bullets went on to win three National Basketball League (NBL) Championships in 1985, 1987 and most recently in 2007. After an eight-year hiatus, the club was reinvigorated by the NBL on the back of renewed broadcast arrangements in late 2015 to address the obvious lack of summer sporting propositions in south-east Queensland. In October 2016, the Brisbane Bullets returned to the NBL in style, both on and off the court. As well as assembling one of the best rosters in the NBL and an enviable coaching staff which includes former Boomers Head Coach Andrej Lemanis, the club has also secured an impressive list of Australia's leading brands as inaugural partners. The likes of Host Plus, National Storage, Ladbrokes, Golden Circle, The University of Southern Queensland and Brisbane Private Hospital have all joined a long list of loyal, passionate partners. The future of the Bullets looks strong with sell-out crowds, strong merchandise sales and a healthy corporate interest in the club's premium hospitality and experiential properties. 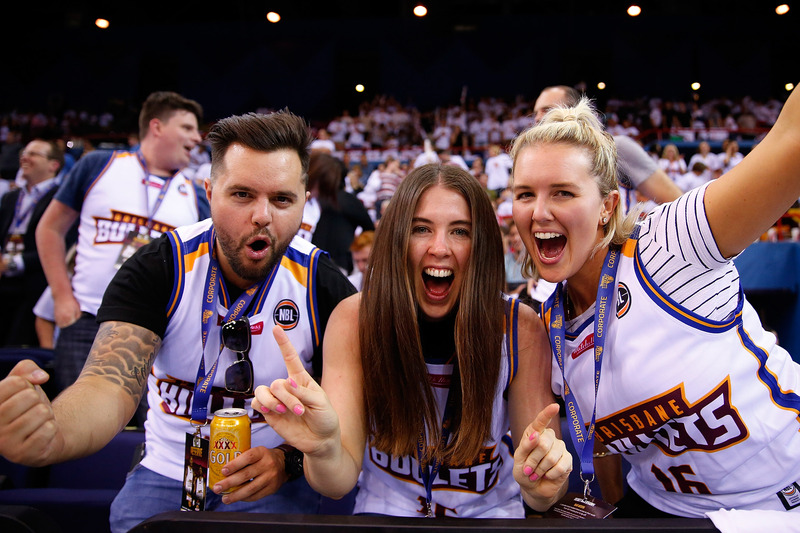 "We aspire to be Brisbane's premier sporting entertainment product over the summer period, highlighted by our NBA style side line seating, premium entertainment and engaging pre-game events," general manager Richard Clarke says. "The loyal partners we have brought on board highlight the strength of the Bullets brand, which is now well and truly re-established in the domestic commercial market. "As our club starts the journey back to the summit of Australian basketball, we warmly invite all businesses to join us on this exciting ride." The Bullets have a range of Corporate Hospitality packages on offer, commencing from $95 per person including in seat catering. A night out with the Bullets will appeal to the most discerning sporting fan, corporate groups or at this time of the year, work Christmas parties. As well as being a premier sporting entertainment product, the Bullets are also passionate about the Brisbane community. In alignment with the club's core values - Respect, Inspire and Family - the club is fully committed to community engagement and supporting grassroots basketball. 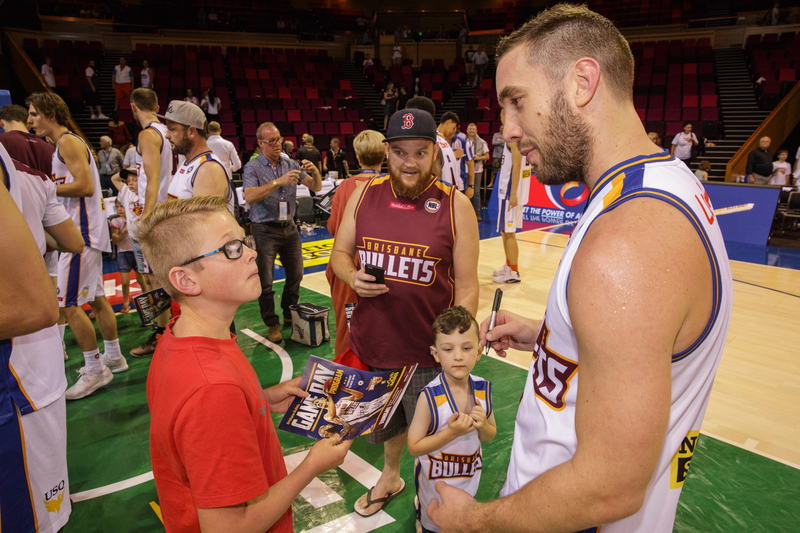 Whether it be on court under the bright lights of the Brisbane Convention & Entertainment Centre or in a local schoolyard, the Bullets are back in the hearts and minds of the Brisbane community. About: The Brisbane Bullets is an iconic sporting brand in Australia. The Bullets were one of the foundation clubs in the inaugural National Basketball League in 1979 and remained in the NBL until 2008 when the participation license was returned to the NBL due to financial difficulties. The Bullets return to the NBL for the 2016-17 season confident of achieving on court success and focused on embracing the wider community.